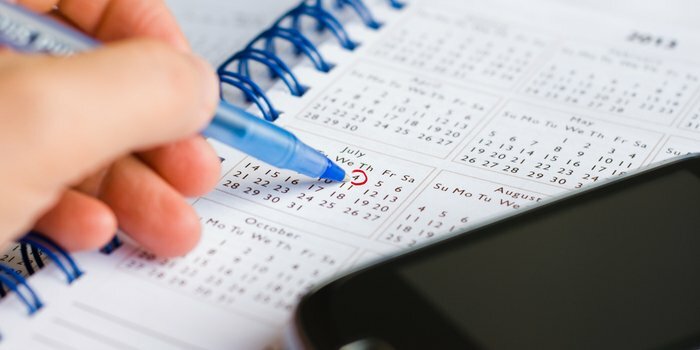 Tamil Nadu SSLC Time Table 2019 - The Directorate of Government Examination (DGE), Tamil Nadu has released the Tamil Nadu 10th 2019 Time Table in December, 2018. The TN SSLC exam will be conducted from March 14 - 29, 2019. The detailed time table of Tamil Nadu SSLC 2019 is provided below. Students must go through the Tamil Nadu SSLC time table 2019 and note the dates to plan their revision accordingly. It mentions all the subjects taught in the class along with the exam dates. Tamil Nadu 10th 2019 exams will be conducted for 3 hours 15 minutes. First 10 minutes will be allotted for reading the question paper, then 5 minutes for answer sheet checking and verification. The Tamil Nadu SSLC Result 2019 will be declared in the last week of the May, 2019. Read the complete article below to check the detailed Tamil Nadu SSLC 2019 time table. Given below is the calendar for the Tamil Nadu SSLC exam 2019. Students are advised to keep it handy so as not to skip any important event. Students must collect the admit cards from the school authorities while the private candidates can download it from the official website. The admit card comprises candidate’s name, roll number, centre name and address along with examination schedule. It'll be issued by school 15 days prior to the exam. Each subject carries 100 marks and a person needs to score 35 to clear a subject. For subjects which has a has both theory and practical exam, scoring 35 % in individual exam is also necessary to successfully clear the exam. For pass or fail criteria, marks scored in optional language is not counted. Each paper is of 3 hours, 10 mins are given for question paper reading and 5 mins for particular verification filled in by the candidate. DGE, Tamil Nadu will release the result of TN SSLC in the last week of May, 2019 in online mode. Students who have appeared for the exam can check the result by entering registration number and date of birth. The result displays candidate’s name, roll number, school name, date of birth, subject wise marks scored, total marks scored and division.